Vacationing in Florida during the off-season, when summer shifts into fall, offers some of the best-of-the-best opportunities for leisure travel. Usually this stretch is quieter than the high season, and attractive deals are ripe for the picking. If you’re thinking of squeezing in another trip before fall – and beyond – here are some suggestions for savoring the Sunshine State’s natural beauty, quirky attractions and ultra-fabulous beachfront accommodations. Florida is rich in luxurious lodging, including 12 resorts that snagged a revered five-diamond ranking from AAA. Even better, eight of the dozen are in Southeast Florida. Eau Palm Beach in Manalapan features four restaurants, including Temple Orange Mediterranean Bistro serving Sunday brunch; and a luscious and much-lauded 42,000-square-foot spa. Occasionally on weekends, a server steps right into the pool to dole out frosty refreshments from a floating mini-surfboard stocked with flutes of icy champagne. Deal: Florida residents’ rates to Oct. 31 are from $199, Sunday-Thursday, and from $219, Friday and Saturday. 100 S. Ocean Blvd., Manalapan, 561-533-6000, eaupalmbeach.com. The Breakers Palm Beach includes nine restaurants, four pools and a spa offering such pampering treats as a massage on a bed of alpha-quartz sand. Recently added to the menu at select bars are pineapple margaritas served inside pineapples freshly juiced for the drink and piña coladas served inside a coconut. Perks valid to Oct. 31 include free buffet breakfast, free golf (except cart fee) and free tennis. One South County Road, Palm Beach, 888-273-2537, thebreakers.com. St. Regis Bal Harbour Resort offers two pools, butler service for suites, Remède Spa, oceanfront day villas and proximity to Bal Harbour Shops. For those who appreciate spacious accommodations, the resort added a selection of four-bedroom suites, each with more than 2,900 square feet and four balconies. Deal: Taste of Luxury includes a fourth night free and breakfast for two, offered to Sept. 27. Request rate plan TSTPKG4F. 9703 Collins Ave., Bal Harbour, 305-993-3300, stregisbalharbour.com. Other AAA five-diamond resorts in South Florida include Acqualina in Sunny Isles Beach, acqualinaresort.com; Four Seasons Miami, fourseasons.com/miami; Four Seasons Palm Beach, fourseasons.com/palmbeach; Mandarin Oriental Miami, mandarinoriental.com/miami; Ritz-Carlton Naples, ritzcarlton.com; and Ritz-Carlton Fort Lauderdale, ritzcarlton.com. For South Floridians, opportunities to soak up that distinctive Keys vibe are an easy road trip away. In fact, the drive is part of the appeal. The remarkable Overseas Highway stretches 113 miles over a string of islands to Key West, offering a drive that’s as wonderfully relaxing as it is delightfully picturesque. If you’re seeking extra reasons to point your vehicle to Key West, there is the Key West BrewFest, Sept. 1-5, with events that include beer dinners, beer brunches, pool parties and a tasting festival. Fantasy Fest, renowned for its over-the-top outfits and partying, runs from Oct. 21-30. fla-keys.com, keywestbrewfest.com and fantasyfest.com. If you like a vacation that focuses on food, line up an excursion when local restaurants are showcasing their finest fare. For example, Flavor Palm Beach. About 50 restaurants participate during September, offering special fixed-price menu selections that typically include three courses. The fixed prices, usually $20 for lunch and $30 to $45 for dinner, often represent a significant discount on the regular prices, according to Briana Beaty, founder of the event. To browse the Flavor Palm Beach offerings, menus for participating restaurants are featured on the event’s website, flavorpb.com. For each reservation booked on the website, $1 is donated to a local food bank. Miami Spice, August and September. About 200 restaurants participate, offering three-course meals at reduced prices of $23 for lunch and $39 for dinner, miamiandbeaches.com/special-offers/monthly-deals/miami-spice-month. Dine Out Lauderdale, Aug. 15-Sept. 30. Participating restaurants offer three-course dinner selections for $36, sunny.org/dineout. Orlando Magical Dining Month, Aug. 29-Oct. 2. Participating restaurants offer $33 dinner selections, visitorlando.com/magicaldining. Passengers on The Dolphin Explorer, which boards in Marco Island, savor being along for the ride as the engaging antics of local and transient dolphins are monitored for a scientific project. Sightings of dolphins may include such behaviors as playdates, when mother dolphins meet up with other mother dolphins and allow youngsters to frolic with each other. About 70 dolphins are full-time residents along the 20-mile roundtrip route along the Intracoastal Waterway and other waterways, and some others roll in and out. The excursion includes a recreational break on the remote boat-access-only Keewaydin Island. With each dolphin sighting, the staff monitors such facets as where the dolphins are, what they are doing, water temperature and water depth. The passengers on the 33-foot vessel pitch in with sightings, and also identifying the dolphins they see, based on distinctive markings on their fins. The staff shoots and prints photos right on the boat, and passengers use those snapshots to figure out who’s who, matching fin markings with a database of about 350 dolphins previously recorded in the area. 951 Bald Eagle Drive, Marco Island, 239-642-6899, dolphin-study.com. Sun and surf are prime draws to St. Pete Beach, and the Tampa Bay peninsula offers other alluring sights and activities. Small towns with inviting main street shopping districts include Dunedin, with its Scottish flair, and Gulfport featuring an artsy Old Florida vibe. Fun, festive and funky events in Gulfport include Gecko Ball, Aug. 27, and GeckoFest, Sept. 3, geckofest.com. Gulfport offers Art Walk events with live music and art vendors 6-10 p.m. most first Fridays and third Saturdays of the month. An abundance of lodging in the area includes the palatial icon Loews Don CeSar Hotel, with a Florida residents’ perk that offers $25 hotel credit a day, valid to Dec. 31. 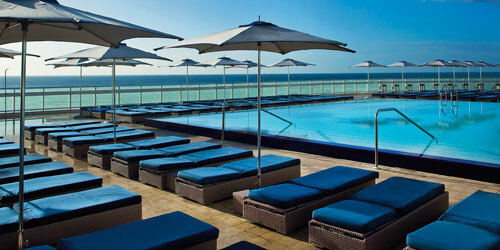 3400 Gulf Blvd., St. Pete Beach, 727-360-1881, loewshotels.com/don-cesar. Mermaids provide the featured entertainment at Weeki Wachee Springs State Park. The submerged show is presented from a 450-seat theater with windows that look right into the sparkling springs water, where mermaids perform synchronized swimming routines as turtles and fish wander by. Mermaid shows are held three or four times a day. Other highlights of the park, which is north of Tampa, include a riverboat tour on the Weeki Wachee River. Rentals of kayaks are offered by a vendor. Guests swim in the 72-degree springs from the park’s Buccaneer Bay, which features a sandy beach. 6131 Commercial Way, Weeki Wachee, 352-592-5656, weekiwachee.com. When you’re ready to leap off your poolside lounger, Sandpearl Resort offers varied on-site activities and tours. For Astronomy Nights on the boardwalk, the resort became a partner with the Museum of Science and Industry, which offers an astronomy expert for gazing at the planets through a solar telescope. The resort also offers interactive cooking classes with the resort restaurant’s chefs, s’mores on the beach and tours of the property’s artwork and its eco-friendly water-saving and energy-saving features. The fitness program includes yoga on the beach, aqua yoga in the pool and a yoga-Pilates fusion. For those interested in trying an assortment of unique frosty brews off property, the hotel provides maps of St. Pete/Clearwater Craft Beer Trail and chauffeured rides to an array of independent breweries producing artisanal beers. Some of the breweries offer tastings and tours. To score a deal, the resort offers a fifth night free if booked by Aug. 31 for travel by Dec. 24. Use booking code OPALFREE. 500 Mandalay Ave., Clearwater Beach, 727-441-2425 sandpearl.com. The 607-square-mile, nationally protected forest west of Ocala is a draw for varied recreational and sightseeing pursuits by foot, bike or four-wheeled vehicles. State roads 19 and 40 run through the forest, which is part of the Florida Black Bear Scenic Byway. Especially popular features are four natural 72-degree freshwater springs, open to swimmers. The forest includes wetlands, pinelands, lakes and big-scrub ecosystem. Wildlife sightings may include scrub jays and alligators sunning themselves on the roadside. For overnight guests, there are two cabins for rent and RV sites. fs.usda.gov/Ocala and floridablackbearscenicbyway.org.